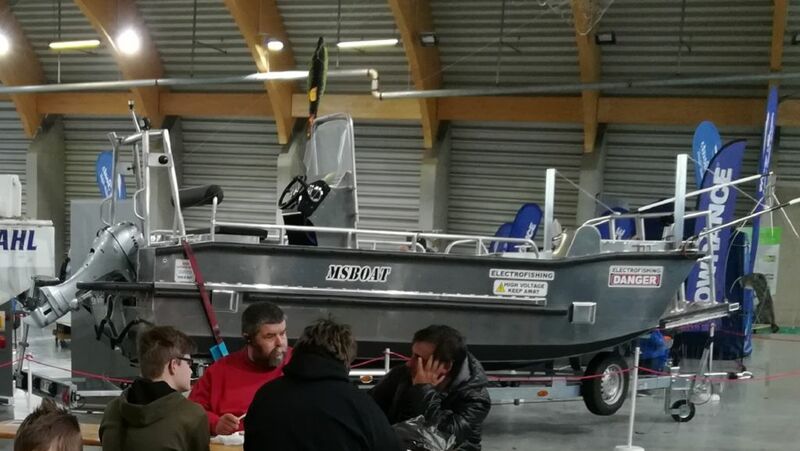 Our new booming boat type MS Boat S500WT arrived a few days ago. 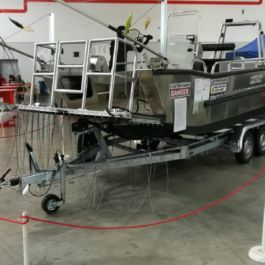 The boat will be used mainly for inshore electrofishing on large standing waters. 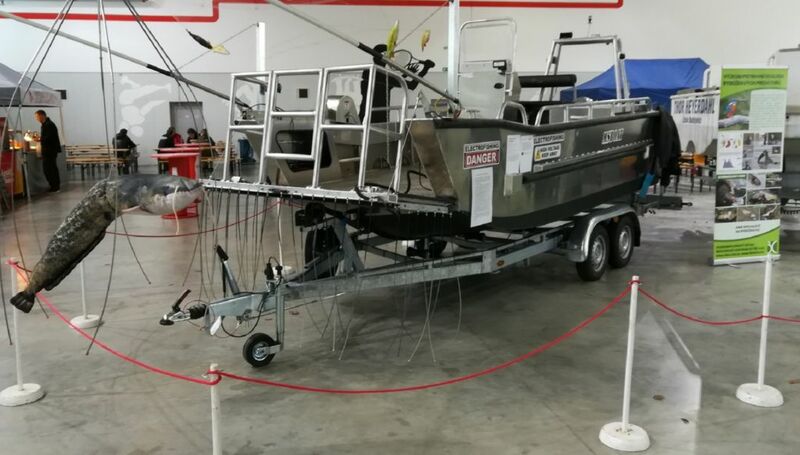 For this purpose, it is equipped with a powerful engine powered electrofisher achieving an DC and pulse current output of up to 300/600 V. Out of standard the boat is equipped with a bow door ideal for comfortable work and a built-in catch tank with water circulation to keep even large catch alive for long. 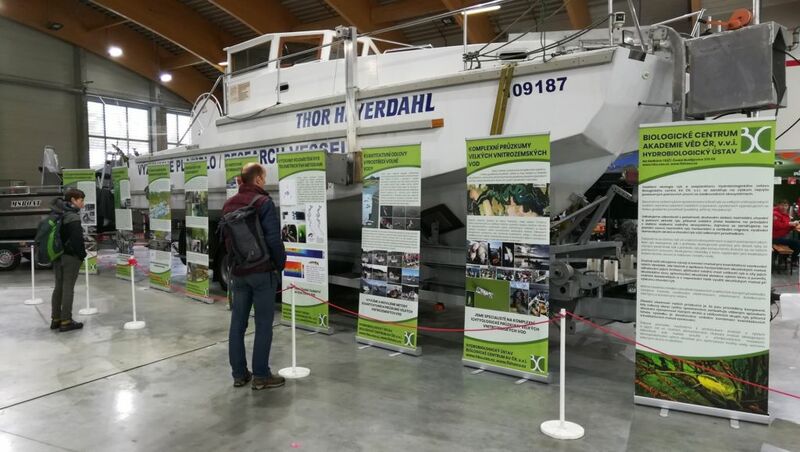 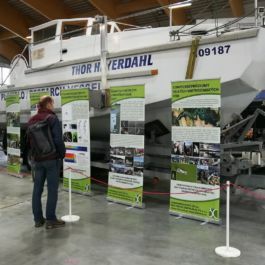 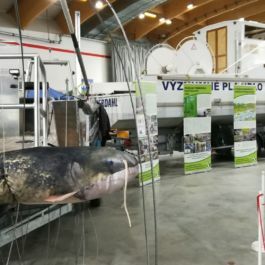 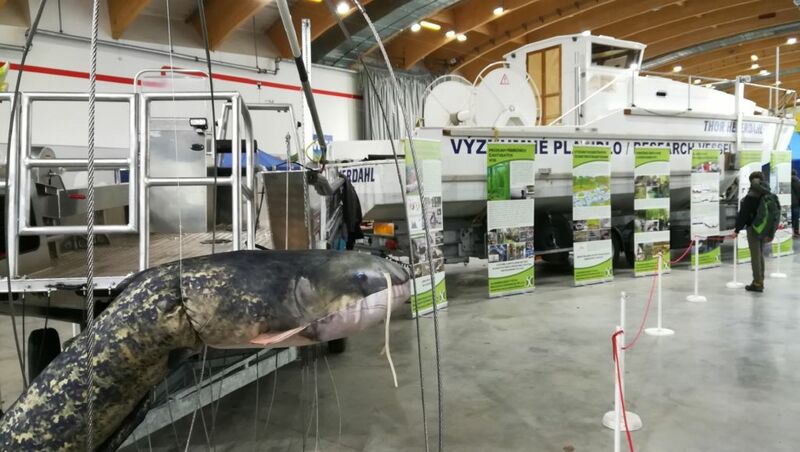 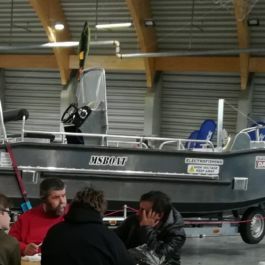 Together with our largest boat, the Thor Heyerdahl trawler, the new booming boat was ready for the inspection during the South Bohemian Fishery Exhibition (Jihočeská rybářská výstava) at the Výstaviště České Budějovice from last Friday to Sunday.